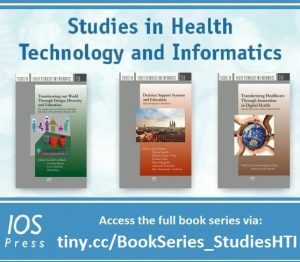 Thank you for taking the time to confirm your interest in receiving news and updates from the IOS Press book series Studies in Health Technology and Informatics. We regularly publish titles in this series. To view all the books available (in print and as ebooks), click here.